Roscoe's having his birthday party at a farm this year. I'm really excited for him. He adores goats, and I think that a get together will all of his friends on a working farm will be perfect. 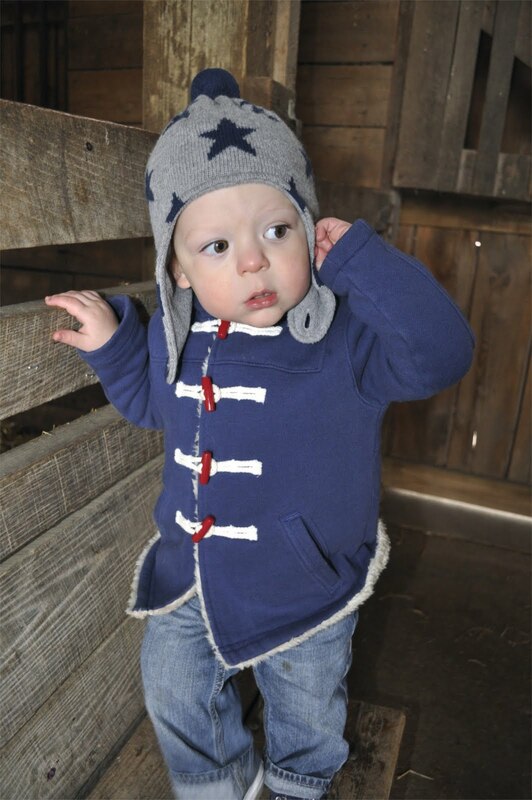 This particular farm also offers a wide variety of classes to kids of all ages. A few months ago I registered Roscoe for Little Hands on the Farm, an exploratory opportunity for 2 and 3 year olds. I was pleased to have taken one of the last seats in a class scheduled just before Merritt's due date, and I had been looking forward to enjoying a morning with my little guy in the fresh air and sunshine, just the two of us , and also hoped to have a chance to check out the grounds as part of my prep work for his party. Unfortunately, the weather was damp and chilly the morning of our scheduled farm day and I didn't want to stress Merritt, so Andy took Roscoe while the babe and I stayed home to snooze. From the looks of it, Roscoe had a blast and I hope to join in on the fun with another class later this spring. 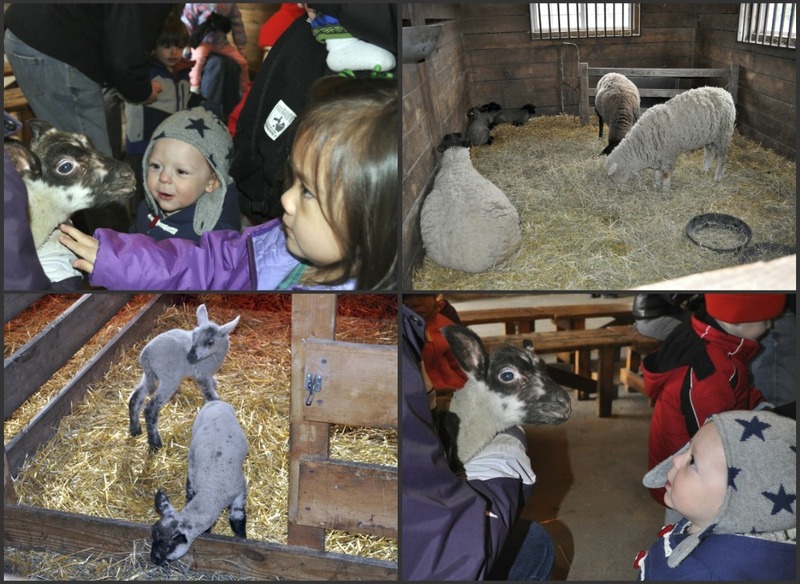 Among other things, the kids got to meet a baby sheep, read a story together in the barn, help with various farm chores, learn about sheep's wool and yarn making, and craft "ears" out of real lambs wool. Now that Roscoe has more or less reached the magic cut-off age (2 years) for locally offered activities, I really want to expose him to some new experiences over the summer months. So far, swimkids and tumbling are our choice picks. Anyone else looking to Summer now that the weather has turned? I love it especially the picture of him with his morning chore!